Features: Lever Action. Dettachable Magazine. When you need distance and precision, Henry gives you a whole new hunt with the Long Ranger. Definitely not your Grandpa’s Henry, the Long Ranger retains traditional lever action operation with exposed hammer and forged steel lever, but updates it with a geared action that drives a machined and chromed steel bolt with a 6-lug rotary head into a rear extension of the barrel for a strong and consistent lock-up from shot to shot to shot. Its American walnut stock has a straight, checkered grip and blued metal finish. The 20″ round sporter barrel is free-floated and has a 1:10″ twist. 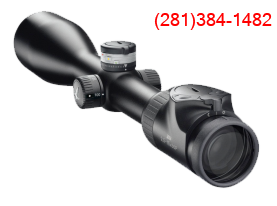 With side ejection and a lightweight aerospace alloy receiver, the top is drilled and tapped for scope mounts. It weighs 7 lbs and has an OAL of 40.5″. This model is chambered for 308 Winchester/7.62 NATO with a 4+1 capacity in a detachable magazine.